You are invited to a special webinar on Tuesday, October 17 at 1:00 pm when FACS engages in a dialogue on our energy future with Republican candidate for Governor Ed Gillespie’s Policy Director, Generra Peck. Many of you attended our event with Democratic candidate Ralph Northam in August. 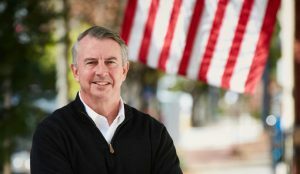 This is your chance to hear responses to many of the same questions and issues from Ed Gillespie’s team. FACS is a nonpartisan, interfaith nonprofit organization in Northern Virginia. We empower and unite neighbors of all faiths to achieve real climate solutions, right now.